Ian Barrigan is the head of pre-Academy recruitment and player retention. 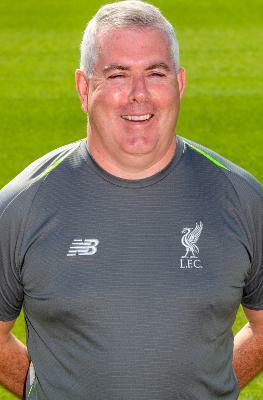 He joined the club's youth set-up as a local scout in 1997 and has since unearthed the likes of Jon Flanagan, Trent Alexander-Arnold, Brad Smith and Jordan Rossiter, and also involved with the host of others player with the recruitment team. He took over as head of local recruitment in the summer of 2010. Explaining his role in Kirkby, Barrigan said: "I head up a large network of scouts who all look to bring in youngsters aged between five to eight years from the local area. "Another big part of my role is player retention which means keeping our best players at LFC. "We cover all the local leagues and tournaments, no forgetting the schools throughout the region as we look to ensure we attract the very best young talent to Liverpool Football Club."